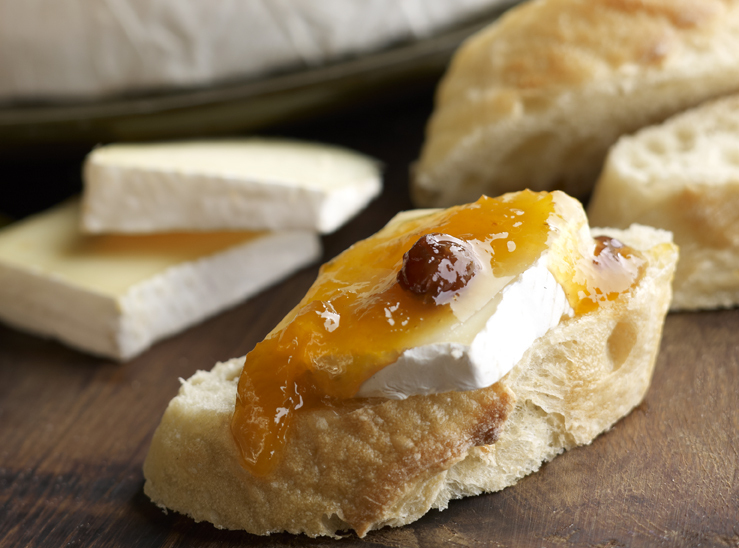 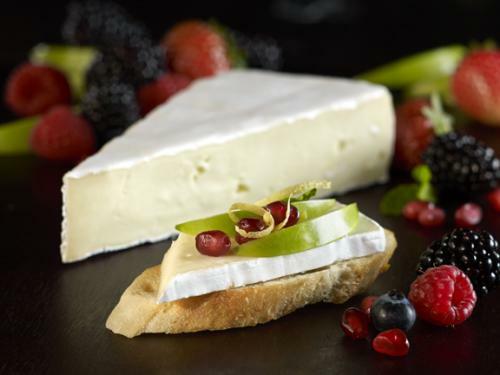 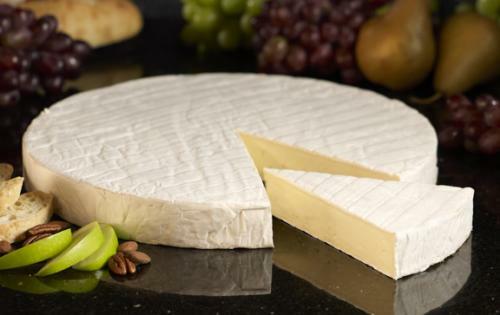 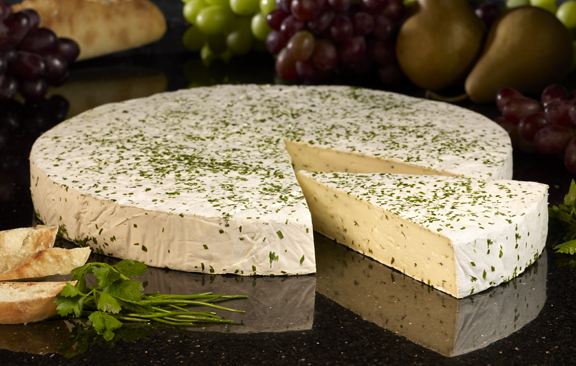 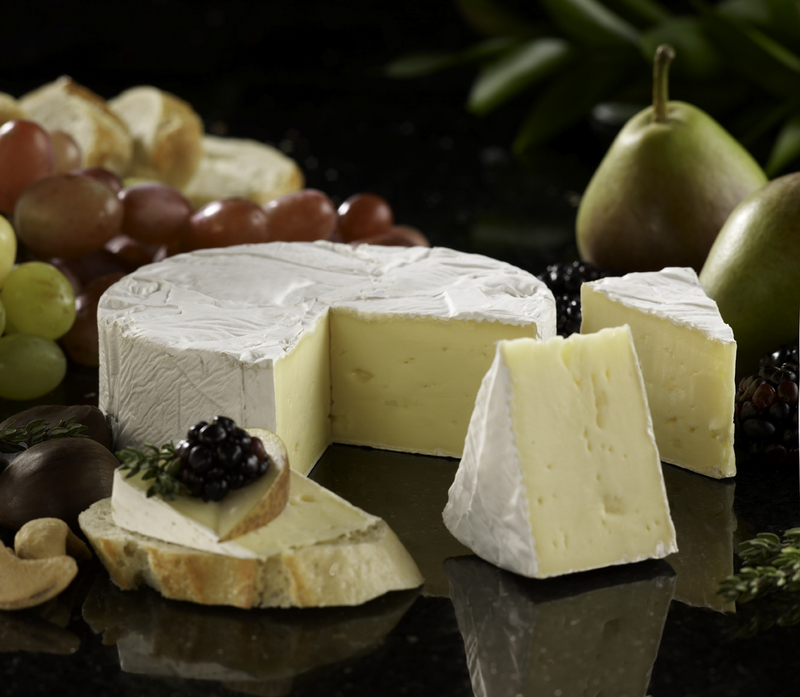 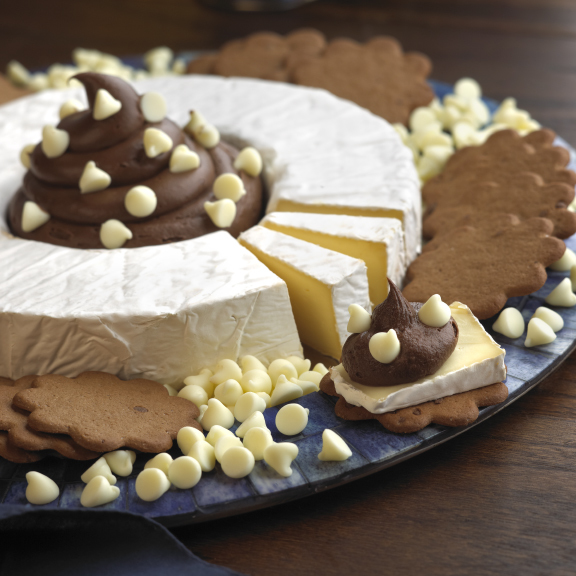 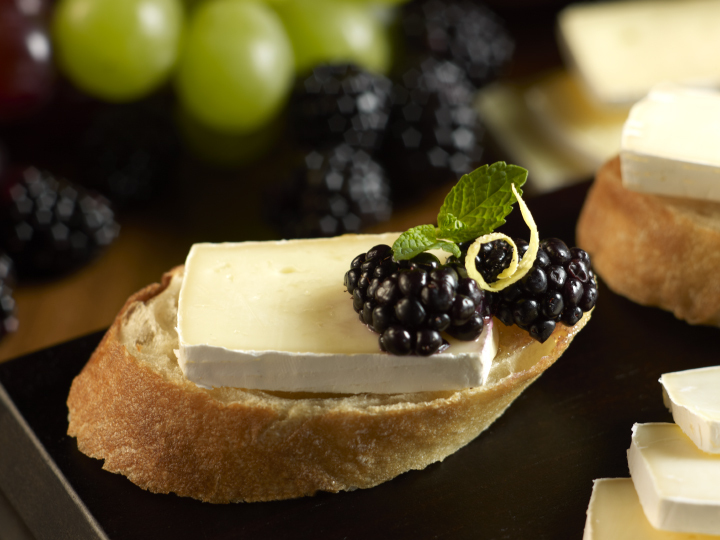 Buttery and creamy, Brie is fruity and mildly tangy, complete with an earthen mushroom note. 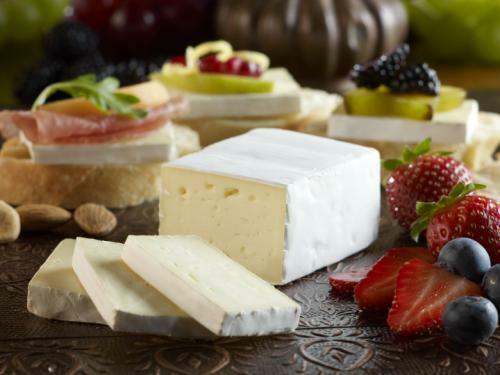 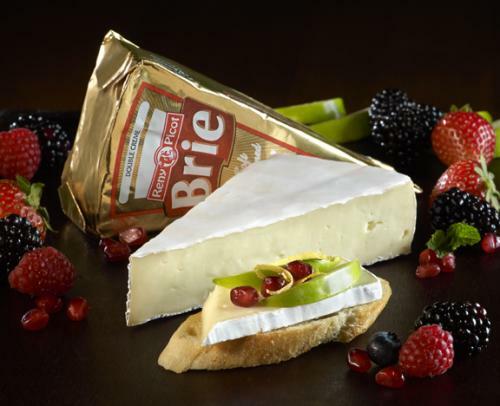 Old Europe Cheese Brie contains 60% butterfat to draw out that succulent, melt-in-your-mouth flavor that is almost unmanageable in its gooeyness. 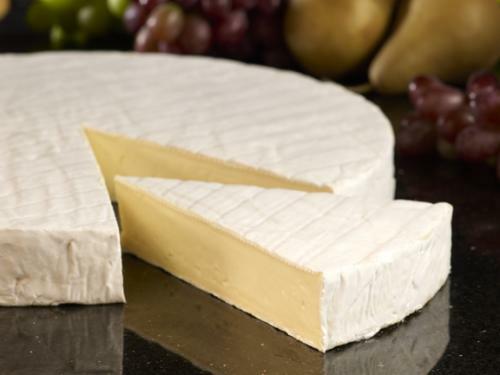 Brie is a soft ripened, un-pressed and naturally drained cows’ milk cheese, which is molded into flat round disks. 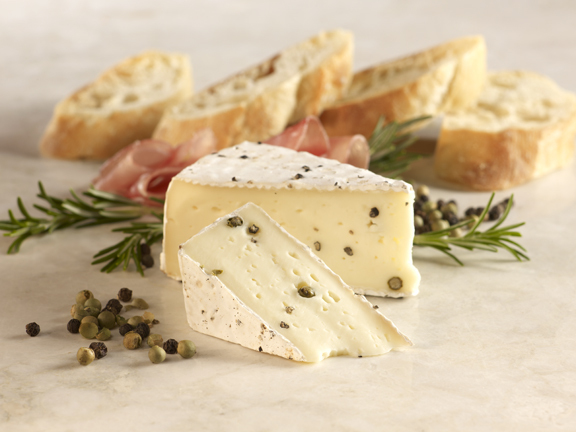 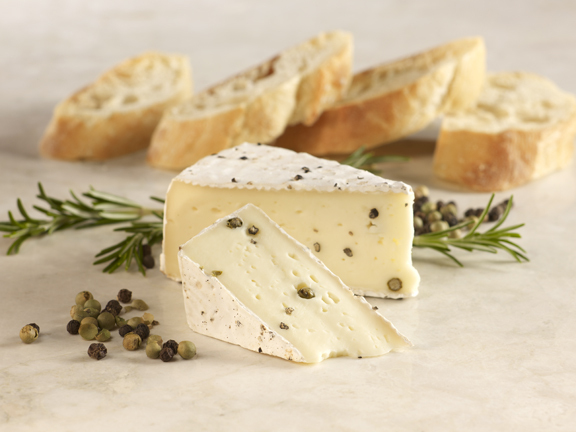 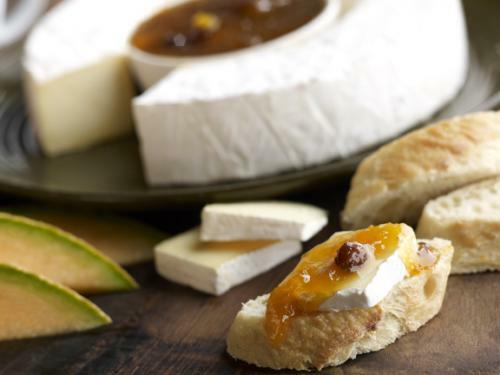 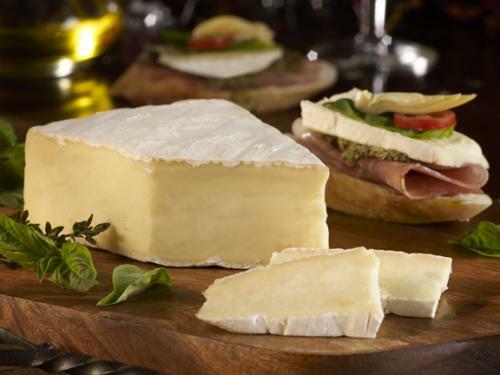 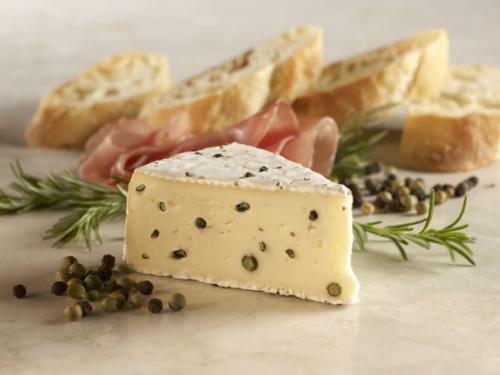 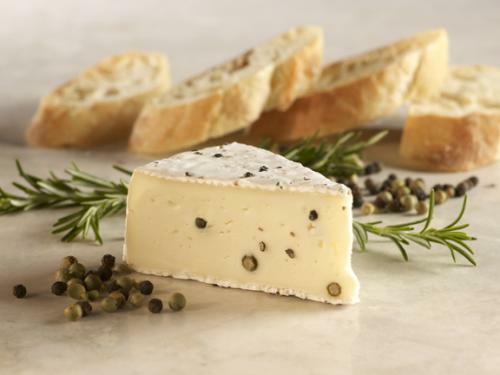 Brie has a snowy white rind with a glossy, straw-colored paste that is plump and velvety smooth. 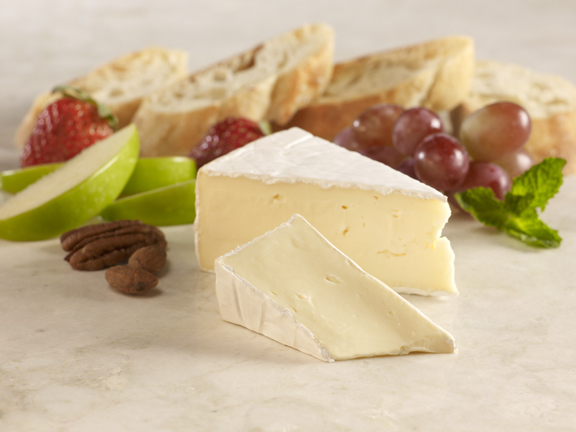 The cheese is then ripened for at least two weeks before shipment. 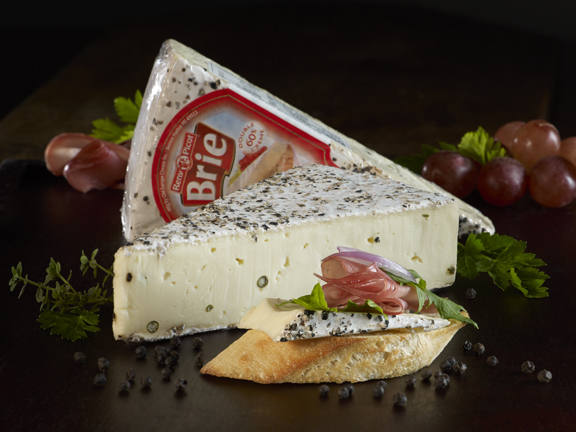 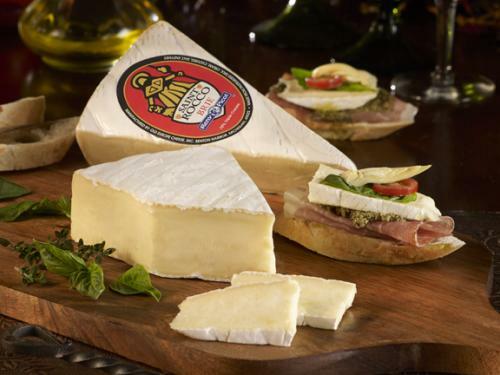 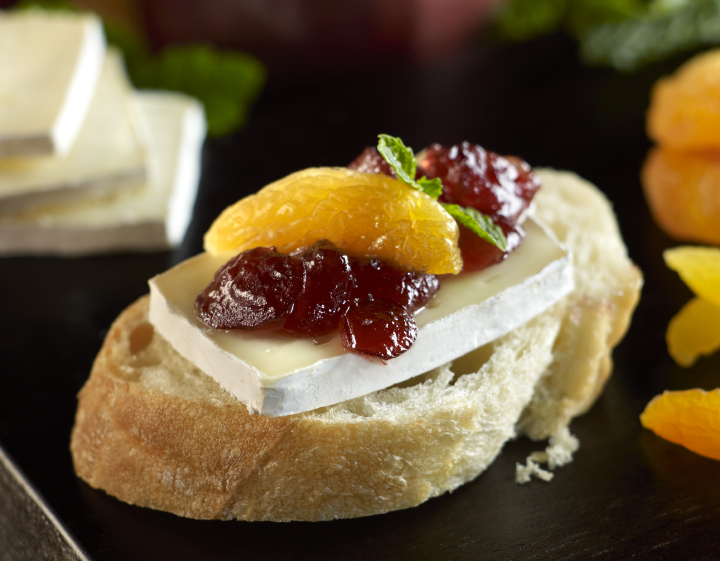 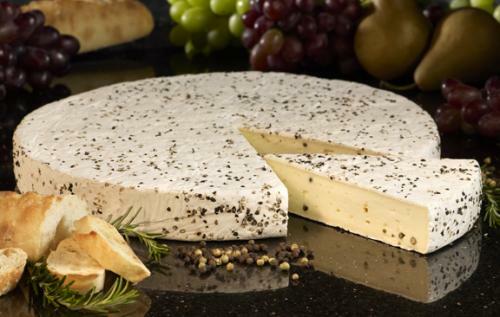 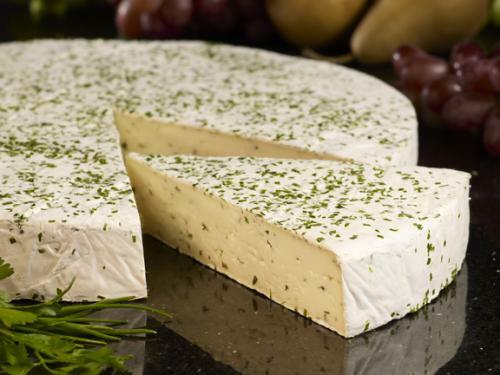 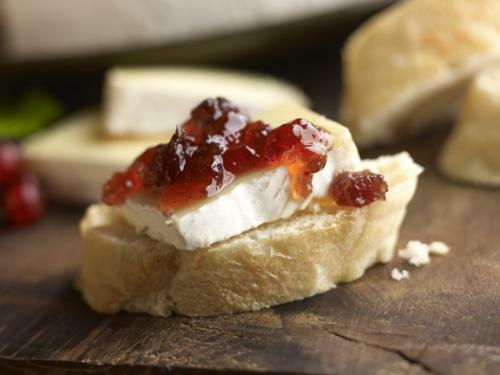 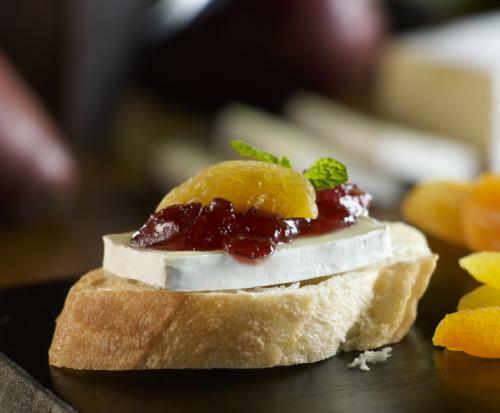 Brie should be buttery and creamy with a full flavor, fruity and mildly tangy with an earthen mushroom note. 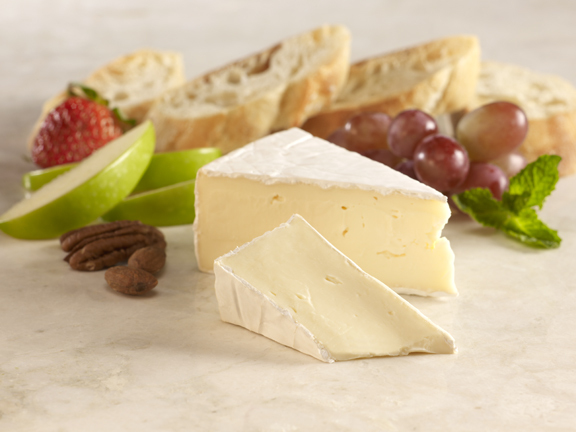 Old Europe Cheese makes triple creme, double creme, and single creme brie containing 60% butter fat for that melt in your mouth flavor. 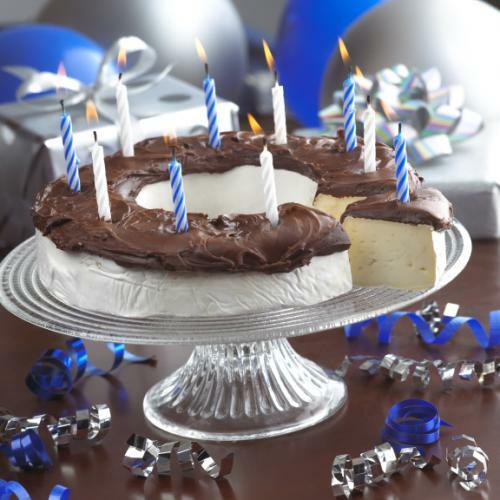 Ideal storage temperature is 40-45 degrees Fahrenheit with an elevated humidity. 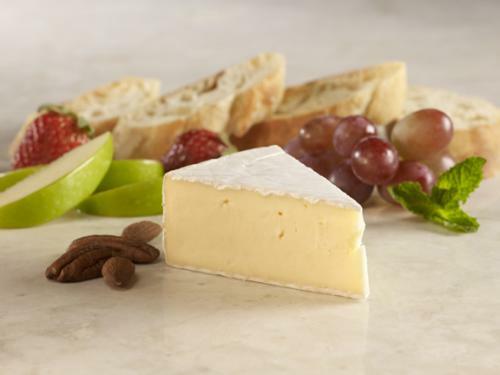 Cut surfaces should be protected from drying out by applying parchment paper to exposed areas before storing. 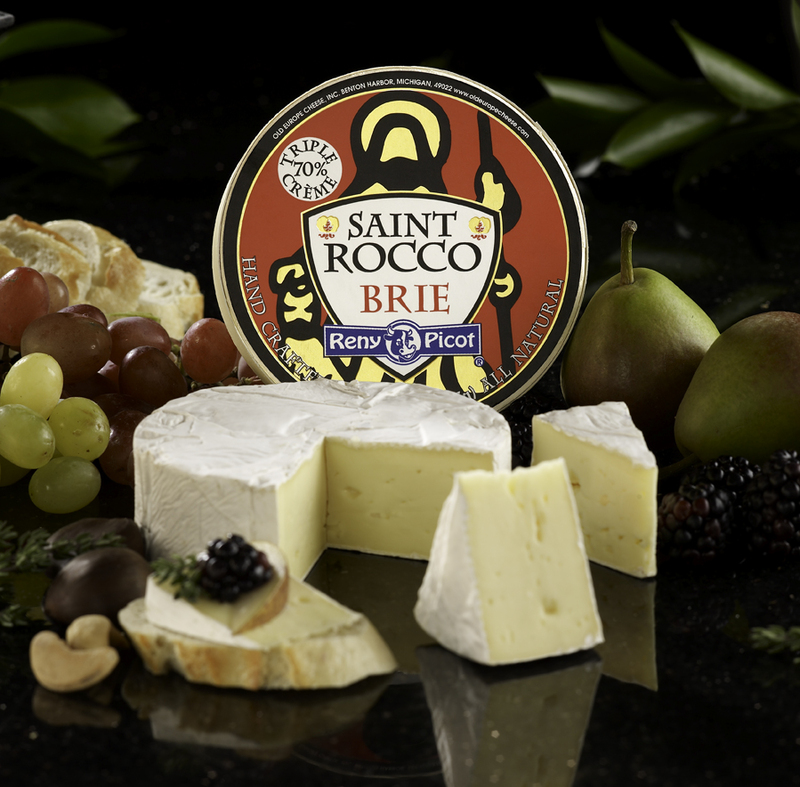 If possible, use the original overwrap, which is imported from France and is specially designed for Brie. Otherwise, store unwrapped in a sealed plastic container pierced with a few holes for air circulation. 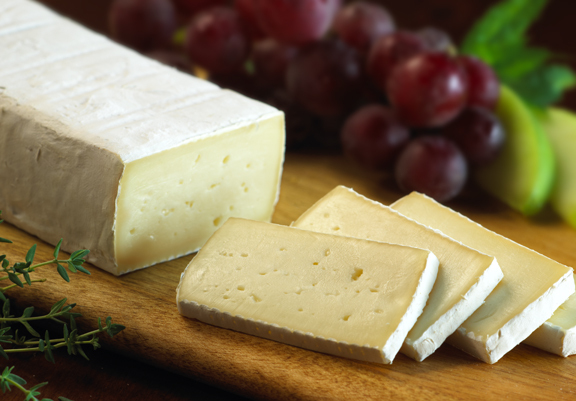 Include a clean damp paper towel in the bottom to elevate humidity.